Barefoot Technologies is delighted to announce a new partnership with Debordieu Rentals of Georgetown, South Carolina. Debordieu has decided on the Agent 3.0c system to run their systems for their vacation rental and property management business..
For the last 14 years, Barefoot has taken industry advances and conversations with prospects and customers and built functionality into the Barefoot 3.0c system. The result is that Barefoot has one of the most robust vacation rental and property management solutions in this industry. With everything from reservations, lead and customer relationships management, work order capability, trust accounting, integrated partner portals and revenue management tools, companies can tailor the software around their business themselves without long customization cycles. Debordieu Rentals will leverage Barefooot’s best of breed technology. One of their key affiliations is Luxury Portfolio International www.luxuryportfolio.com , the world’s premier association of independent luxury portfolio brokerages. They also plan to leverage OTA’s using Barefoot’s seamless integrations. Their plans for growth hinge on using technology to gain efficiencies and build automation around time consuming processes. Debordieu Rentals will be running on Barefoot’s Agent 3.0c system for their 2015 rental season. To see more about what Barefoot’s customers are saying, please see www.barefoot.com/testimonials. Now serving clients all along the coast of Georgetown County, DeBordieu Rentals has a proud history of representing the finest coastal vacation properties. The company has long been associated with DeBordieu Colony, a 2700 acre private gated oceanfront community just south of Pawleys Island. 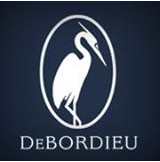 DeBordieu Rentals is pleased to offer its clients a wide variety of concierge and property management options as well as providing their guests with a full range of vacation services. Barefoot Technologies offers one of the most innovative and flexible, cloud-based vacation rental software solutions. Working with Barefoot is about more than a conversation about technology; our core values are intertwined in our vision to offer ourselves as consultative partners to help you achieve your business goals. For thirteen years, our focus has been to provide a solution that allows you to do business you way, and not because of the limitations of any software you might be using. If you would like to learn more about Barefoot’s solution, please visit www.barefoot.com or email sales@barefoot.com.